Lock in a great price for Hotel Villa La Palagina – rated 8.7 by recent guests! Friendly staff, good food & beautiful location. We just stayed the night before the eroicam but the surroundings and the property really looked nice. The location is very beautiful, great view and landscape around. The restaurant is good. The breakfast delicious with many choices. Pool was nice and cold, plenty of beds around it. Clean rooms. Great staff. Beautiful location overlooking forest and vineyards. Interesting property with history as a former convent. 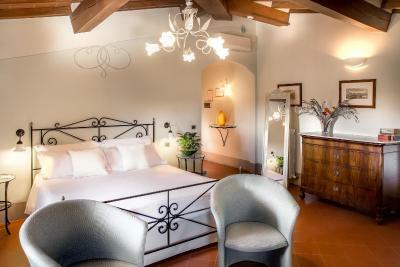 Charming and spacious rooms and excellent facilities. Staff were very friendly and accommodating. Amazing location!! Views from every window. Stafff was friendly. The whole place was simply stunning, staff were fantastic, restaurant is as good as the view. You must visit this place. Hotel Villa La Palagina This rating is a reflection of how the property compares to the industry standard when it comes to price, facilities and services available. It's based on a self-evaluation by the property. Use this rating to help choose your stay! 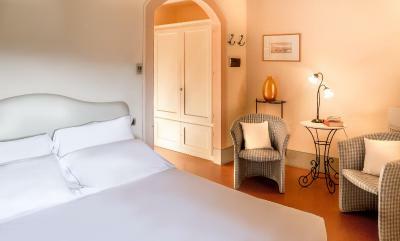 In the Tuscan hills, surrounded by the Chianti countryside, Villa La Palagina offers rustic-style rooms and apartments in Figline Valdarno. It features large grounds with 2 swimming pools, and a restaurant. Accommodations here come equipped with satellite TV and air conditioning. The apartments include a kitchenette and dining area. 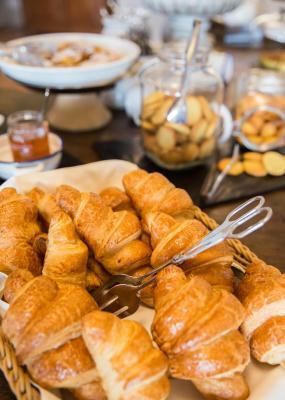 Your day at La Palagina Villa begins with a generous breakfast buffet. The restaurant serves Tuscan dishes and a wide selection of wines. Greve in Chianti is 8 miles away, while the A1 highway is reachable by car in around 20 minutes. Parking at the property is free. 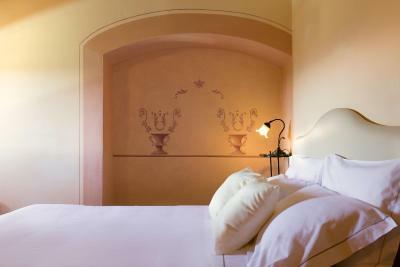 When would you like to stay at Hotel Villa La Palagina? Air-conditioned room with satellite TV, a minibar, and private bathroom with hairdryer plus free toiletries. Larger air-conditioned room with satellite TV and a minibar. Some feature a spa tub. 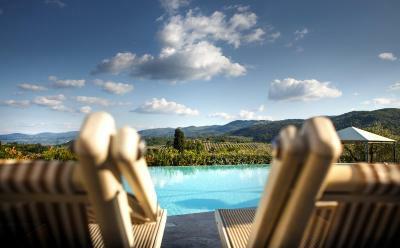 Features views of the park or Chianti hills, and some have a spa tub. - First floor has 2 bedrooms and a bathroom with a whirlpool bath. Check-in at Hotel Villa La Palagina. 1640 feet away. - Has 2 luxury bathrooms, one with whirlpool bath. 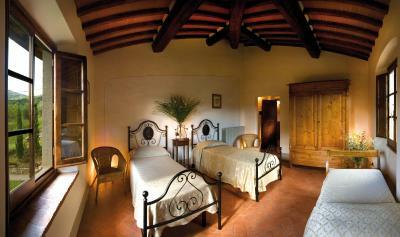 - A fully equipped kitchen furnished in a Tuscan style. - A pool and a terrace with panoramic views. This apartment features air conditioning, seating area and tile/marble floor. 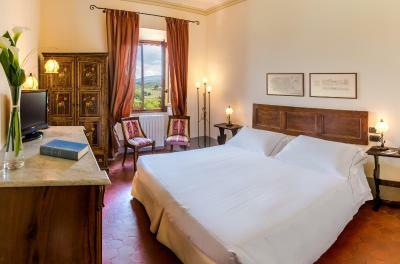 Hotel Villa La Palagina is situated in a seventeenth century villa that belonged to the Nobel Florentine family Ricasoli and is located in the heart of the Chianti region and is a stone throw away from Florence. 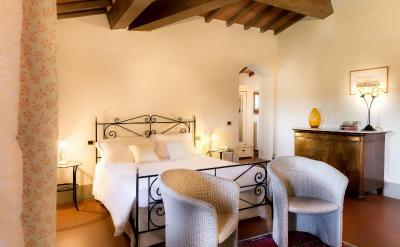 House Rules Hotel Villa La Palagina takes special requests – add in the next step! ATM card Hotel Villa La Palagina accepts these cards and reserves the right to temporarily hold an amount prior to arrival. Hotel Villa La Palagina accepts these cards and reserves the right to temporarily hold an amount prior to arrival. Heating is available at an additional cost per night from November to March. When booking more than 5 units, different policies and additional supplements may apply. The restaurant was kinda too small for everybody to sit at breakfast time so there were people waiting for a table. The breakfast itself was OK but there was a limited choice of cheese and salami plates. Moreover, there was only one plate of a kind which was emptied very quickly, so one had to wait until they were filled again which sometimes took couple of minutes. 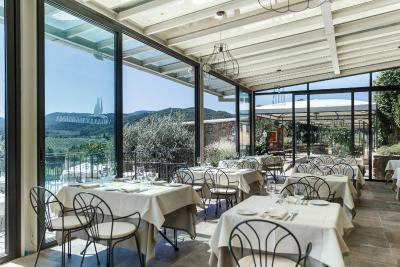 Fantastic location in a very beautiful Tuscany area on top of picturesque hills with a magnificent view from above, the villa and the rooms itself are an impressive mixture of old typical Tuscany architecture and style and modern yet very discreet and unobtrusive luxury. The restaurant offered a cosy, rustical athmosphere, quiet ambience and very good menu, the receprion was very helpful and everybody spoke perfect English. The facility is beautiful and offers beautiful views. That I could not stay longer! That the hotel will close this weekend till April! During the evening and the night it was cold in the room. We've asked at the reception to modify the temperature of the AC, as it was set at 19C. The lady said it will be done by her from their online system, but it didn't change. Also for 4* they should have provided slippers, taking into consideration that both, the room and the bathroom have sandstone on the floor. I was very upset to wake up and find I had a cold shower. No hot water. When I spoke to the staff, they smiled but no one offered to fix the problem or offer me another location for a hot shower. Stunning property in a stunning location. Elegant room. Amazing swimming pools. Friendly staff and delicious food and wine. The staff were very friendly and the view from the pool, divine. The restaurant menu is a bit too creative. We ended our diner still starving. The swimming pool water is not heated at all ! That is a shame !! Nice location in the country side. Beautiful view. Nice Bedroom. The resort is very well maintained. Good breakfast. Bathroom was a little small ..no bath only a shower!! !